A variety of exciting options and features make the Landa VNG one of the most versatile machines in the industry. Housed in an attractive and sturdy metal cabinet, these machines offer easy access to its control panel and indicator lights. 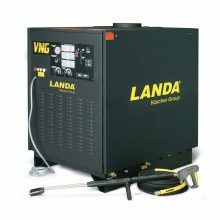 The Landa VNG series is loaded with quality and safety features throughout and is flexible enough to support up to four optional remote wash stations, making it the industry standard for natural gas heated hot water pressure washers. Note: The Landa VNG Series has been discontinued by Landa as of January 1st, 2019. 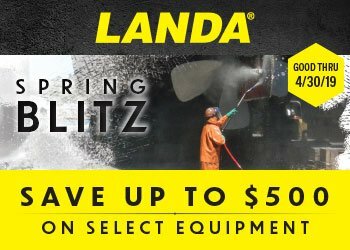 A variety of exciting options and features make the Landa VNG one of the most versatile machines in the industry. Note: LP Conversion Kit needed for LP Gas Heated option.